Skin disease where red patches of skin are covered with white scales. It is usually not itchy. Start the treatment with Sulphur. Give one dose of 1M potency. Wait for 15 – 20 days. If no favorable result. Choose the appropriate remedy according to the symptoms. Intense itching of the skin, without eruption. Worse cold, better on warm application. Exfoliation of skin in large scales, leaving a raw exuding surface beneath. Better in cold and wet weather or by cold application, worse by warmth (opp. Ars.). More useful in psoriasis of scrotum. 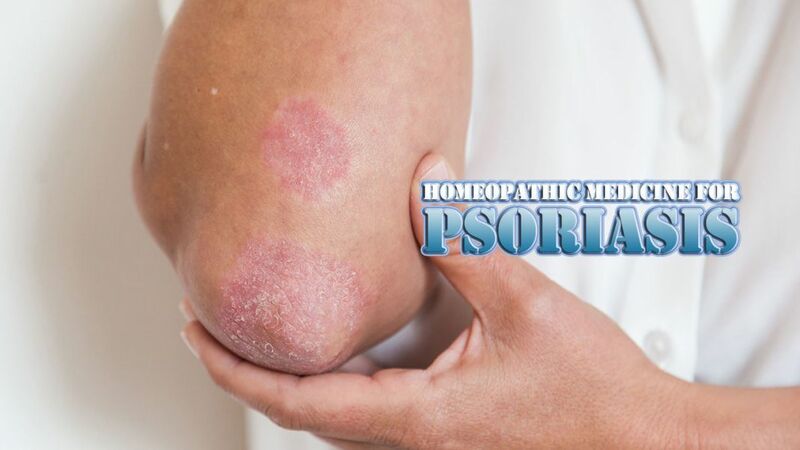 Psoriasis appearing or worse at the time of menses.